Ever wonder how some gamblers do so well at the tables while others struggle? Curious why some poker players just seem to be in the zone at all times while others fumble in and out of hands? We’ve got three inside tips that could help you change your game. And they might be right for you whether you’re playing online poker or casino games like Roulette and Baccarat. Watch any live poker tournament and halfway through you’ll wonder whether you’re witnessing people playing for millions or simply enjoying a day at the spa. At large-scale poker tournaments, masseuses are on hand to provide massages to poker players right at the table. Players don’t even have to leave their chair. 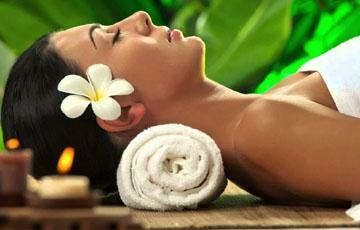 The massage takes place right there from licensed massage therapists. If you’ve ever watched the World Series of Poker on TV, you’ve probably noticed people playing poker while wearing headphones. While some people like to converse with their buddies, others enjoy listening to music because it helps get them in the zone. Most tournaments permit players to bring iPods, iPhones, or other music-playing devices to the tables. Sounds crazy, right? Hypnotists are fun to watch at magic shows while on vacation, but can they really help you improve your poker game. Well, it turns out that might be the case. Over the last decade or so, people have turned to hypnosis to help them stop smoking or curb their drinking habits. And now it’s being used to help improve a player’s poker skills. Hypnosis doesn’t necessarily help you play smarter, but it can help you focus your mind. And a focused mind can help you make smarter decisions and be aware of what’s happening around you at the tables. Sounds pretty cool, right? If you don’t play poker, don’t disregard these tips. You can apply the same tools when you play casino games. A lot of land-based casinos won’t allow iPods at the tables. And masseuses are usually reserved for the poker room floor, not the Blackjack or Craps tables. But when you play online, anything goes.